An 18k white gold Tahitian South Sea pearl and diamond pendant. 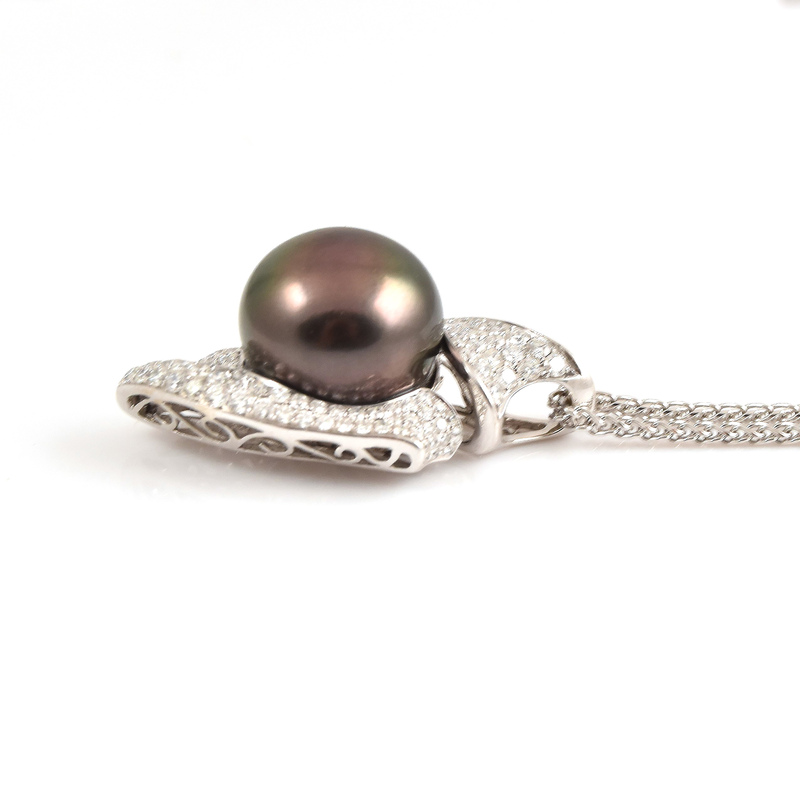 The Black Tahitian South Sea pearl is 14.5mm, has excellent lustre and very good skin. 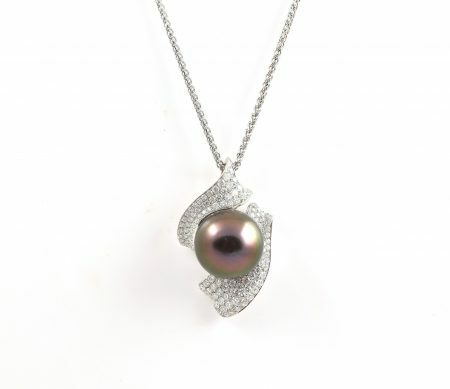 The pendant is pave set with 125 round brilliant cut diamonds in a free from design.